TP-Link’s smartphone brand has unveiled the Neffos C5 Plus for people who are scouting out an ultra-affordable option with premium features. 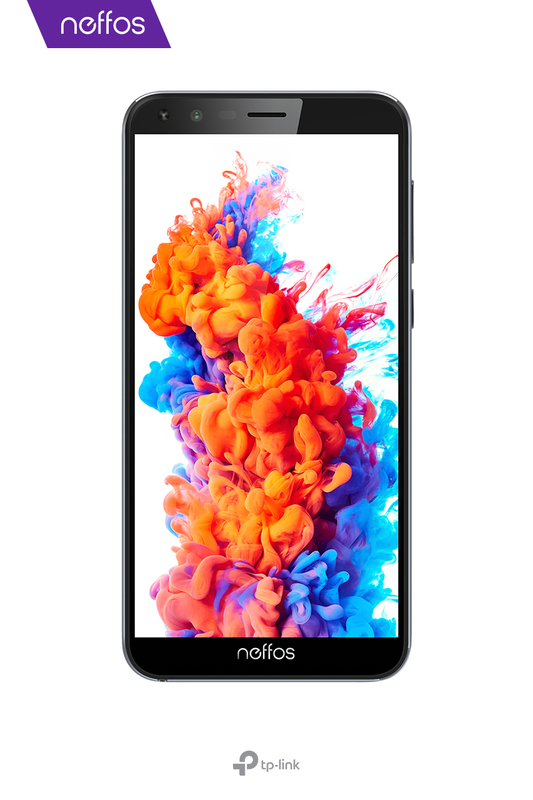 The handset is the follow-up to the hugely popular Neffos C5A, which provided owners with a generous screen size and all-day battery life despite its entry-level price point. Neffos' founding company, TP-Link, has led the WLAN industry as the best-selling brand for home Wi-Fi devices for the past seven years. With a history of excellence spanning over two decades, TP-Link has earned the loyalty and respect of hundreds of millions of users and continues to provide stable and reliable Wi-Fi connections in more than 170 countries. Neffos is committed toward offering the same high-quality, high-value products in the smartphone category. Since 2015, Neffos has been launching phones with exceptional build quality and impressive performance for their price, earning the praise of industry experts and global users alike in the process. As with previous models, the Neffos C5 Plus figures to be a boon for the company's market share and growth prospects in the industry. On the outside, the Neffos C5 Plus retains many of the design cues of its predecessor. It still sports a familiar and understated design that should appeal to many, its well-proportioned body offering a smooth and natural feel in the hand. Smartphone owners want a big, nice display, and as such, Neffos has equipped the C5 Plus with a large 5.34-inch FullView screen with an aspect ratio of 18:9. A bigger, taller display means a better viewing experience in general, especially when gaming or watching videos at native resolution. It provides ample space for typing and reading long emails as well. Picture quality is also a focus here, with the Neffos C5 Plus raising the bar higher for the category with its bright and color-accurate screen. For a fast user experience, enhanced security, and lighter system updates and app downloads, Neffos has opted for Android Go, which is a lightweight version of the Android operating system. It's perfect for devices with modest hardware and limited storage space, like the C5 Plus. Units running Android Go can open apps 15 percent faster than non-Go edition phones. When you connect to the internet using mobile data, the Data Saver feature is turned on by default, thus helping you consume less data. For long-lasting power to use all day for messaging, playing games, and browsing the web, the Neffos C5 Plus features a 2,200mAh battery. Additionally, there's a power-saving mode that can extend the battery life of the handset further. This means you won't always find yourself reaching for the charger or battery pack by nighttime. The 5-megapixel camera on the back captures’ special views and moments with amazing clarity and vibrant colors. Built-in camera modes like HDR, Burst, and Panorama, on the other hand, allow you to take better pictures in different situations without the need for any extra gear or software. For taking selfies, the C5 Plus arrives with a 2-megapixel front camera with Neffos' own beautify option, which uses special algorithms to brighten your face or fix the exposure settings if the surroundings are too bright, while you compose your shot. The smartphone supports 3G connectivity. It has two SIM card slots and one microSD card slot, which you can use to add up to 64GB more storage. There's dual-standby support available on this device as well, along with other connectivity options such as Wi-Fi and Bluetooth that have been fine-tuned by TP-Link for optimal speed and stability. Better yet, the C5 Plus delivers better voice quality than its predecessor, so it’s easier to converse with another person on the phone. The Neffos C5 Plus is now in stores at a bargain price of around RM249.